The Reflect show garden at Holker Garden Festival 2011, was awarded Large Gold and Best Show Garden. Created by Paul Richards Garden Design and Greenbelt Landscapes to provide a calm stylish space in which to reflect, relax and escape from the stresses of busy life. Inspired by the modernist movement of the 1920’s and 30’s, the design combines simple materials, such as rendered concrete and polished sandstone, with luxurious furniture and sumptuous planting. Whilst embracing the themes of modernist architecture (which is broadly characterised by simplification of form and subtraction of ornament from the structure and the theme of the building) this is very definitely a garden for the twenty first century. A large black, still pool provides a calm central feature which reflects the garden’s structures and planting. A path leads into the garden, through an intimate seating area surrounded by plants, and then, by way of stepping stones into the pavilion. This is inspired by the Barcelona Pavilion, designed by Ludwig Mies van der Rohe for the 1929 international exposition in Spain. The two objects, although designed more than 80 years apart, demonstrate how modernism still has relevance today. The sense of calm that water brings to the garden is enhanced by it’s setting, in a very controlled space in which to escape from the hectic nature of modern life, and to relax. Planting in the Reflect garden is designed to compliment the hard landscaping. 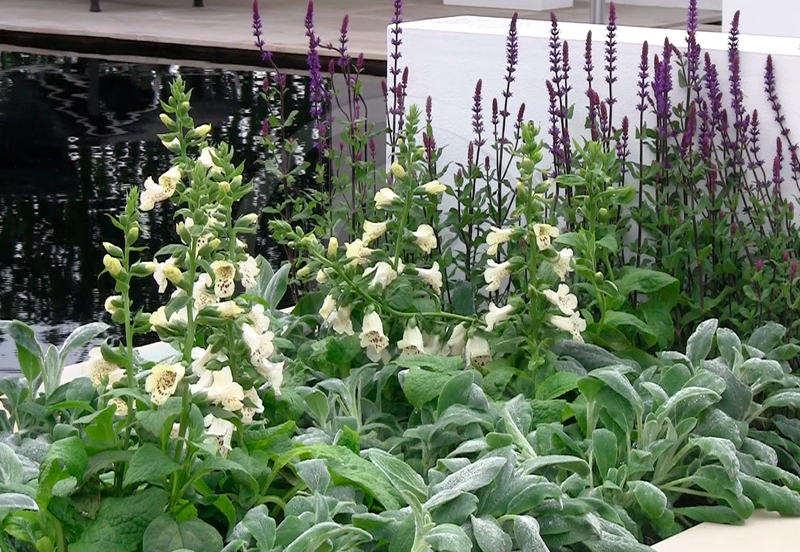 Plants have been chosen from a limited colour palette, comprising greens, silvers, purples and white. Naturalistic cream foxgloves combine with spires of deep purple salvia and soft silvery foliage in the flower beds whilst graceful tall grasses soften the hard structures and add gentle movement. These colours add to the sense of coolness and calm, and are all seen at their best in the evening – the time to unwind after a busy day, and reflect – perhaps with a glass of wine. 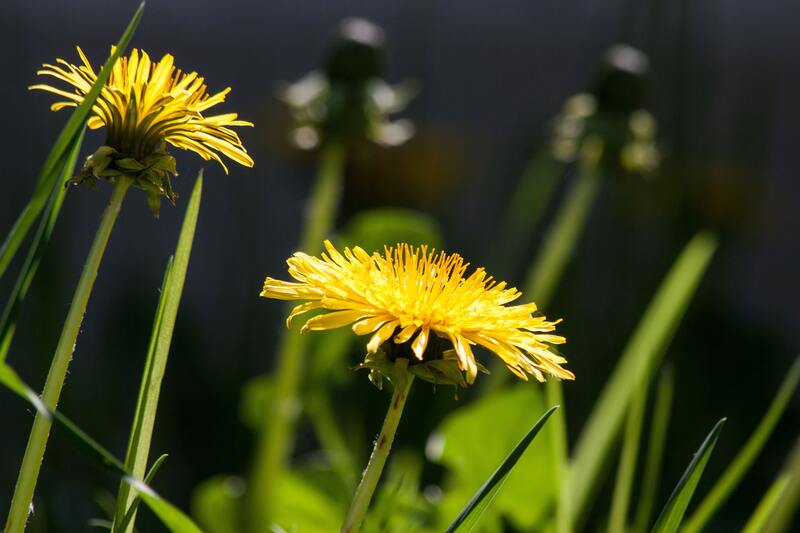 Greenbelt Landscapes create predominantly bespoke designed gardens for the discerning clientele. They are a comany which aspires to executing and perfectly re-creating the vision of their clients, landscape architects and garden designers. They believe that gardens have evolved, to become the lifestyle living spaces of today, for entertaining family and friends as well as being places to relax and escape. Greenbelt thank Paul Richards Garden Design for his wonderful and inspirational show garden design. Paul Richards BA (Hons) trained in garden design at Myerscough College. Based in Lancashire, he has designed gardens for Southport Flower Show as well as working on projects across the UK, including small urban gardens, cottage courtyards, gardens for schools, roof terraces and large country gardens. Perennials were donated by The Garden Studio, Tarleton and the Grasses by Wildy Rural. Holker Garden Festival 2011 – More about the North’s prestigious Horticultural event.